Showing results for tags 'arb'. New business venture. Advice & guidance of the wise appreciated. Location: Tetbury, Gloucestershire Salary: from £26,000 depending on experience About us: Keystone is passionate about the delivery of exceptional quality ecological consultancy services and engaging with clients from all sectors to deliver benefits for wildlife and mitigate environmental harm. We are seeking an experienced, enthusiastic and skilled Arboricultural Consultant to work closely with our Ecology Team on projects with relevant arboricultural constraints and also independently on arboricultural lead projects. Keystone Ecology would particularly like to hear from Arboricultural specialists who are interested in improving their knowledge of ecological surveys and consultancy, with the potential to work towards a survey licence for bats, while helping to develop knowledge and experience of arboricultural surveys and assessments within our existing ecology team. About the Arboricultural Consultant role: Keystone has a permanent full-time position available for an Arboricultural Consultant. The role will involve the management and delivery of arboricultural related projects in addition to assisting with larger ecological projects with the opportunity to influence the future development of the business. Duties of the Arboricultural Consultant role: Typical works include: Undertaking arboricultural surveys and assessments in accordance with best practice; Producing technically accurate reports and plans; Managing projects to ensure budget and timescale delivery Liaison with clients, contracts, sub-contractors and statutory bodies You would need to live within commuting distance of the Tetbury area and be prepared to work throughout the UK. Requirements of the Arboricultural Consultant role: Essential: A degree in a relevant discipline - arboricultural or forestry A Technicians Certificate in Arboriculture (or equivalent QCF Level ¾ qualification) At least three years experience of arboricultural assessments in the consultancy sector, independently delivering arboricultural services including the application of industry standard methodologies (BS5837:2012, BS 8545:2014, BS3998: 2010) Knowledge of relevant policy and legislation relating to arboricultural matters Be highly competent in the use of Word, Excel, Outlook, GIS and preferably AutoCad Have strong report writing skills The ability to communicate appropriately with a diverse range of clients Experience of remote and independent field working Ability to accommodate flexible/unsociable working hours A sound understanding of issues relating to site safety and supervision Proven track record of successful project management Evidence of recent active training and CPD within the arboricultural industry A member of the Arboricultural Association A full UK driving licence Beneficial A CSCS card LANTRA Professional Tree Inspector Certificate Experience conducting bat and other protected species surveys A Natural England Class Bat Licence CS38 Tree Climbing and Aerial Rescue Certificate Benefits offered: The opportunity to establish and develop an arboricultural team within a reputable and well respected Ecological Consultancy and Contracting company during an exciting period of growth and development. We offer a competitive salary, pension, bonus scheme and health insurance combined with excellent options for career progression within the team as it expands. We are committed to understanding and fulfilling the training aspirations of our consultants. If you are interested or would like further information please respond via Arbtalk or alternatively call 01666 503687 or via email on jobs@keyenv.co.uk Many thanks for your interest, we look forward to hearing from you. any free lance climbers in the south devon area fancy a couple days over christmas and into new year? I am always on the lookout for hardwood in the Beds, Bucks, Herts area they want to get rid of..I am not in the industry just looking for stuff to season for my Rayburn to keep the bills down.Let me know if HP23 4QU close enough. Especially if you can just dump it on our drive. Role: Arboricultural Surveyor / Technician Salary: £21k-£28k (dependent on qualifications and experience) Benefits: Essential Car User and a range of employment benefits, training budget, technical mentor and study leave opportunities and home working Trading since 1990, Landscape Planning Ltd is a nationally respected consultancy provider of arboricultural, ecological and landscape design services within the UK. The practice specialises in the provision of consultancy services within planning, insurance, banking and mortgage lending, land and asset management, property surveys and aviation services. We have a strongly developed career pathway, utilising both QCF levels and commercial metrics, that allows us to develop candidates from technician, through consulting, senior consulting, consultant and principal consultant roles. We are ISO 9001 registered, with a passion for quality and accuracy. The role will offer both newly qualified and experienced arboriculturists an opportunity to work within our insurance department and general consultancy, predominantly within the South East and East Anglia areas. You will be working directly with Principals and Consultants as part of a multidisciplinary team. You will also have the opportunity to receive extensive training, mentoring and support. You will be trained in property, insurance and asset surveying, giving you new and transferable skills in a wider surveying context. You will utilise the latest hand held, portable and tablet surveying and laser measuring equipment. Specifically, the successful applicants will have the following key responsibilities: •	Undertaking arboricultural and other surveys across all departments, recommending necessary tree or land management. •	Providing field support to Principals and Consultants across all business lines. •	Undertaking residential property and asset / maintenance surveys (full training provided). The successful applicant will: •	Be Degree, Foundation Degree or Diploma / Certificate qualified, or equivalent. •	Demonstrate previous relevant experience in arboriculture, •	Have a high standard of tree and plant ID and knowledge. •	Have good time management and the ability to act autonomously, using initiative to problem solve. •	Adhere to and understand the importance of health and safety and risk assessment. •	Have a full UK driving licence and the willingness to travel. Ideally, the successful applicant will: •	Have had previous experience using digital data capture. •	Have an understanding of basic construction methods and terms. Benefits: •	Excellent holidays. •	Employee benefit bundle. •	Essential car user allowance. •	All equipment provided. •	Personalised training plan and budget. •	Flexible working initiatives . •	Professional membership subscriptions. Interested parties should send a CV to askhr@landscapeplanning.co.uk or telephone 01206 752539. Utility Arbs required in Oxford! Hi, I'm a level three arb student at Easton college about to start my final year. I have recently moved to the norwich area and I'm looking for work. I'm willing to go self employed if insurance is an issue and I currently have a lantra chipper ticket cs30 and cs31 as well as my own ppe and chainsaw. I have been working in arboriculture for a year and have a drivers licence and transport. 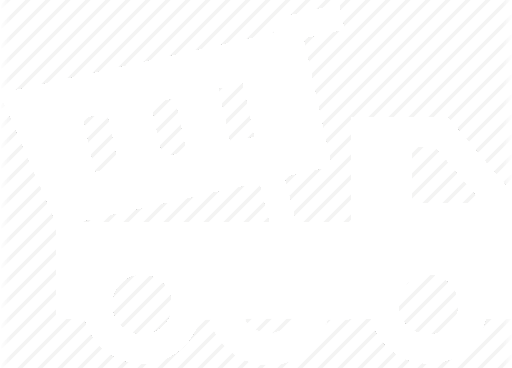 Thanks for reading the post, Ryan. ua climber needed. Warwickshire/Coventry- great rates paid! We are currently looking an experienced climber to undertake power line clearance in the Coventry and Warwickshire area. On a sub-contract or employed basis depending on canidate. Minimum of CS30,31,38,39. driving licence UA1,2.1,2.2 & 2,3 Chipper First aid. Good rates of pay. Please get in touch- call me (Jake) on 07969 146309 or email info@aptreesurgeons.co.uk Many thanks. 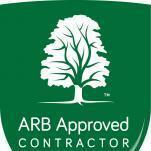 Ground Control is delighted to announce that they have become Arb Association approved contractors! This outstanding achievement is testament to the great work of all the teams working at Ground Control. For more information about the services that are provided, including PICUS tomography tree surveying, visit our website: Ground Control: Award winning commercial landscapers. If you are looking to join the incredible team at Ground Control, check out the latest vacancies here: Great Careers for Great People _____________________________________________________________ On a side note, GC have also been doing their part to help the environment, such as the introduction of electric cars to the business for employees. What are you doing to help improve our environment and what more should we be doing as an industry?